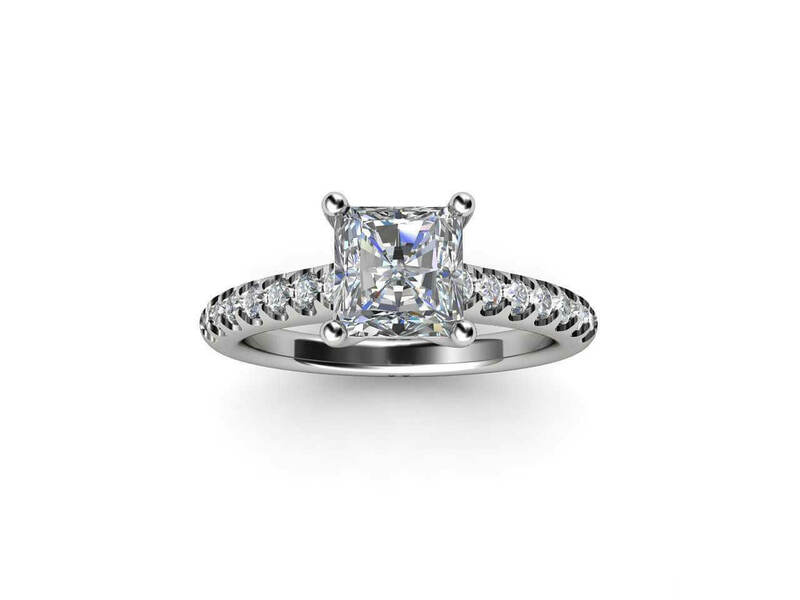 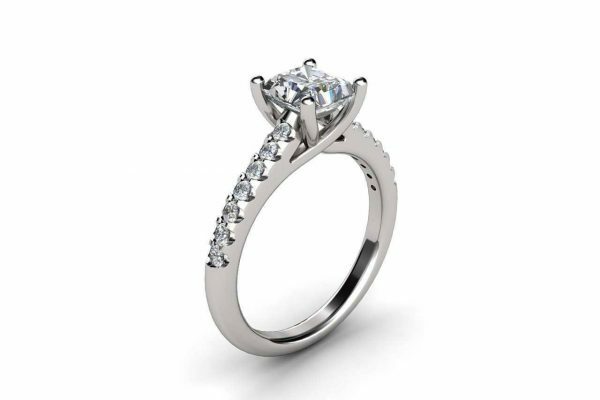 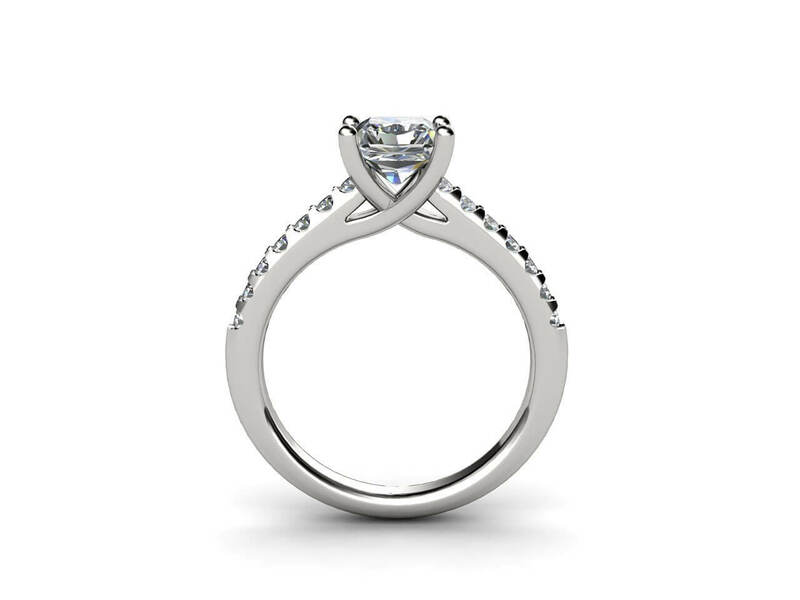 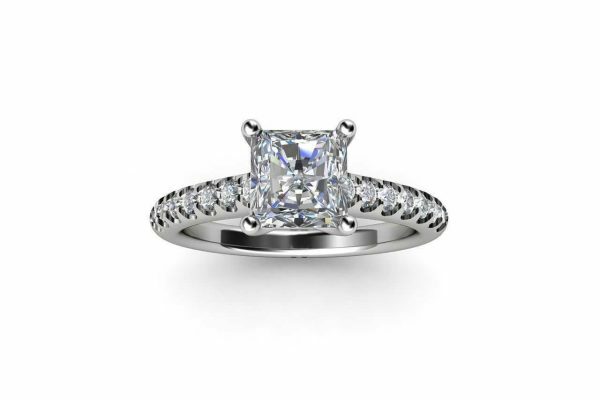 This elegant princess-cut diamond ring is sure to please. 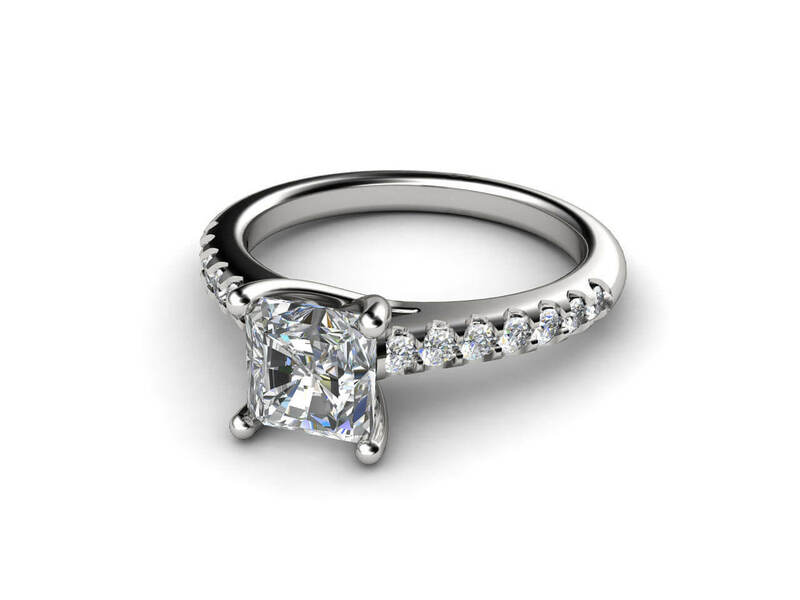 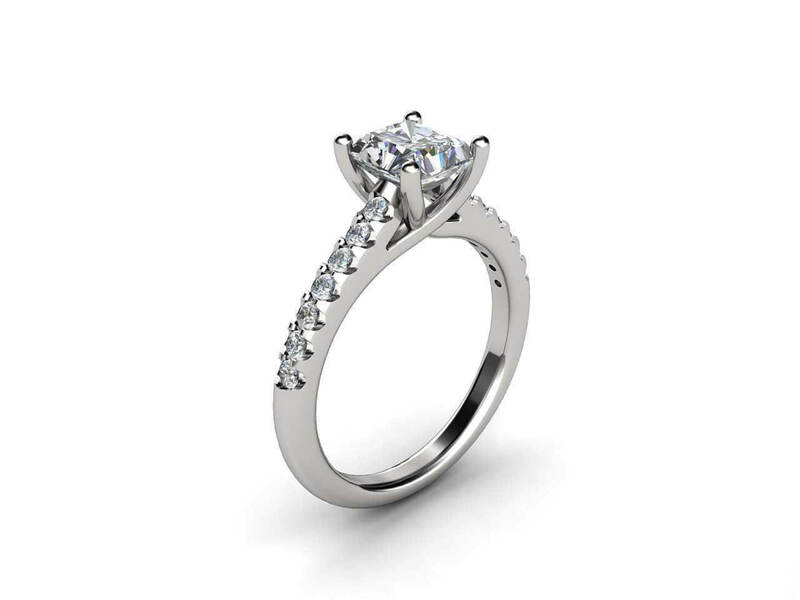 The spectacular princess-cut centre diamond is held by four claws which cross over to create a unique and beautiful setting and is complimented with a diamond band consisting of round diamonds. 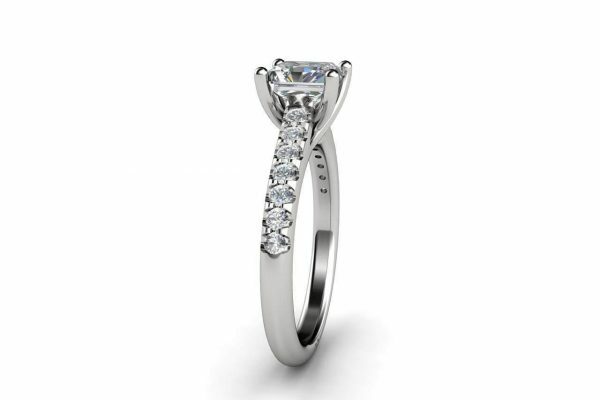 A classic choice for uncompromising beauty. 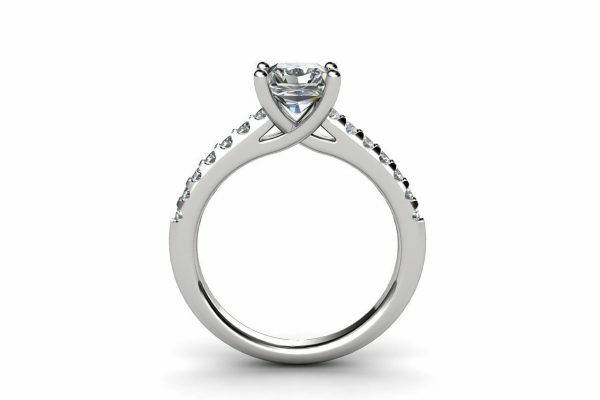 Available in your choice 18k white gold, yellow gold, rose gold or platinum with your choice of diamonds or other precious stones. 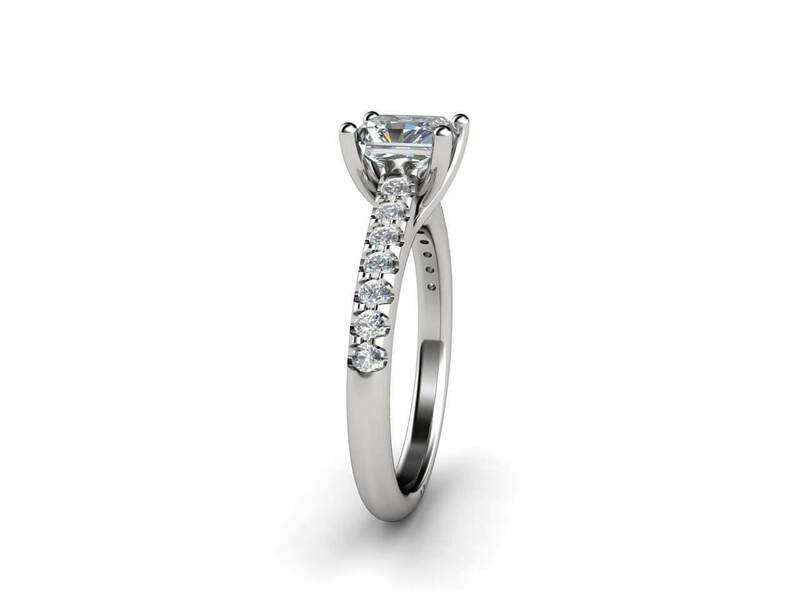 Weight side stones: 0.18ct aprox.